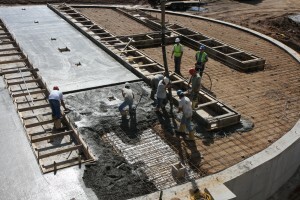 Western Concrete Inc.: Serving NW WI & Eastern MN: Foundations, Flatwork, Waterproofing & Concrete Contractor. Western Concrete is a family owned privately held corporation dedicated to providing quality concrete construction. 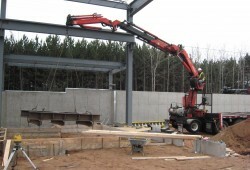 Western Concrete has earned the respect of the building trades industry in residential, commercial, and agricultural construction projects, covering most of NW Wisconsin, and across the border into Minnesota along the St. Croix River Valley Area. Western Concrete works closely with general contractors, engineers, architects, excavators, builders, and clients to ensure project and customer satisfaction. At Western Concrete we strive to use the newest products and techniques offered by the industry bringing new and innovative ideas to our customers through continued education, and team experience. Our team works closely with our customers to achieve a predictable outcome on budget and on time. © 2016 Western Concrete Inc. All Rights Reserved.